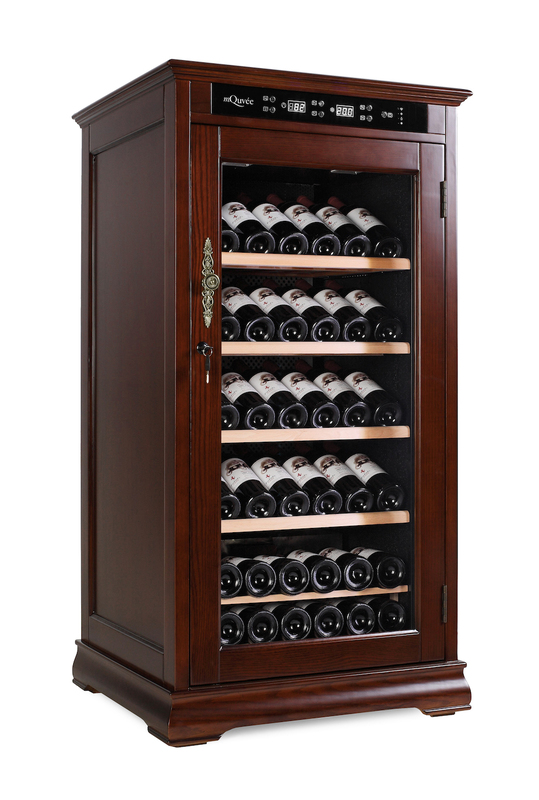 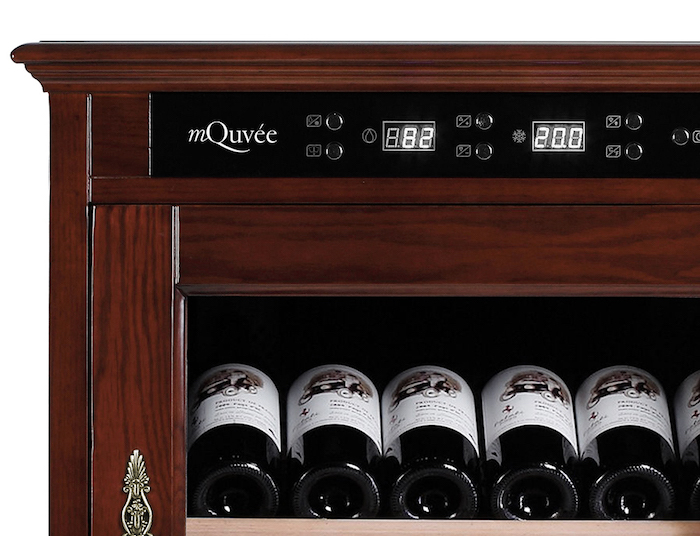 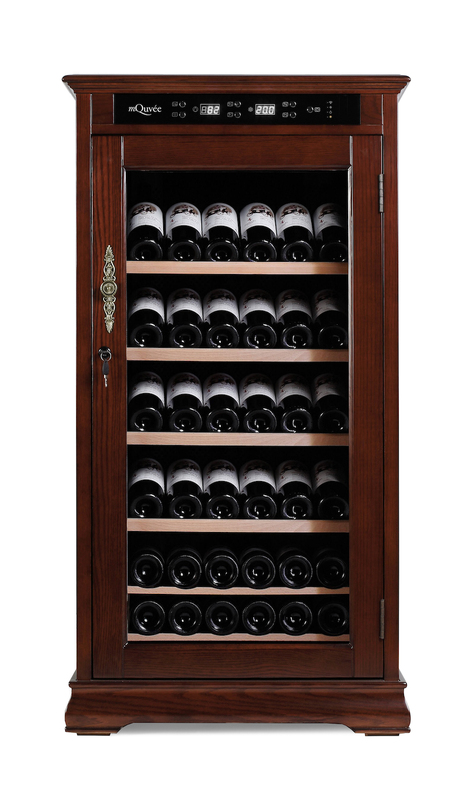 Wine cabinet from mQuvée made entirely of solid wood (American oak) with a reddish hue for the true wine lover. 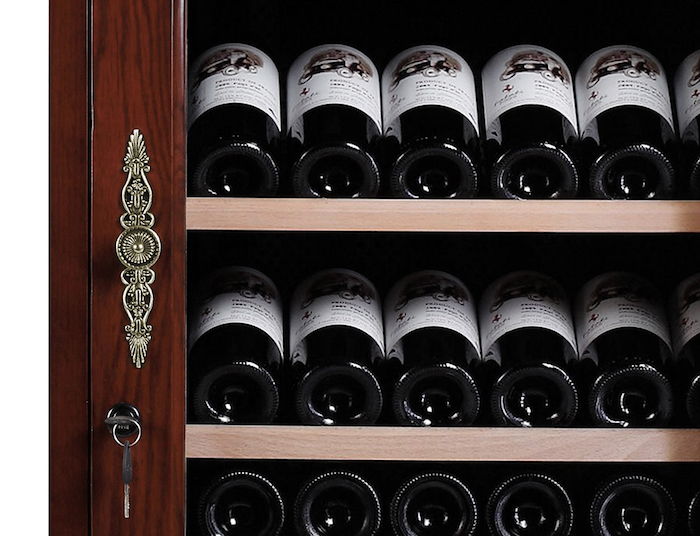 Store your wine at the correct temperature and humidity on the 5 beech wood shelves and be inspired by the exclusive brass details. 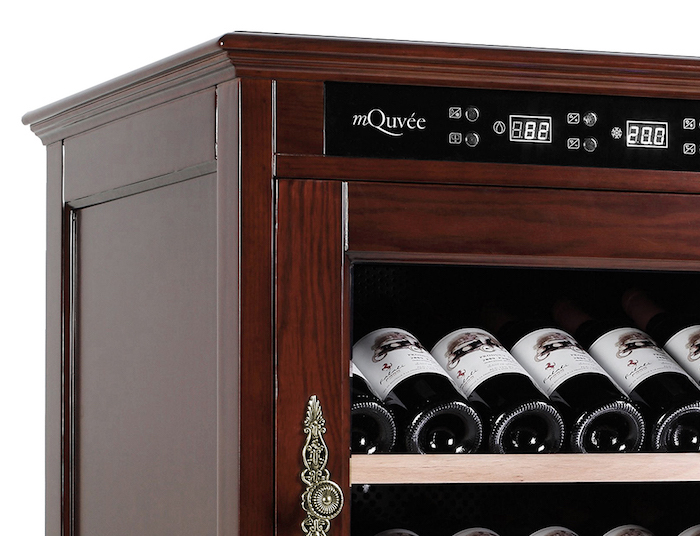 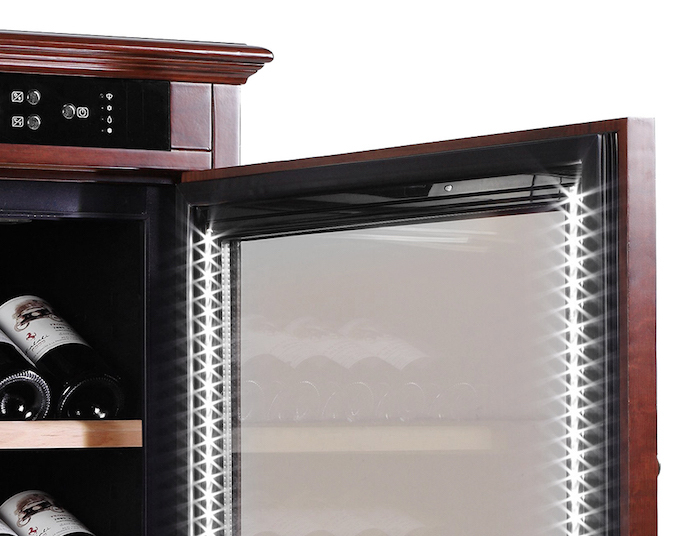 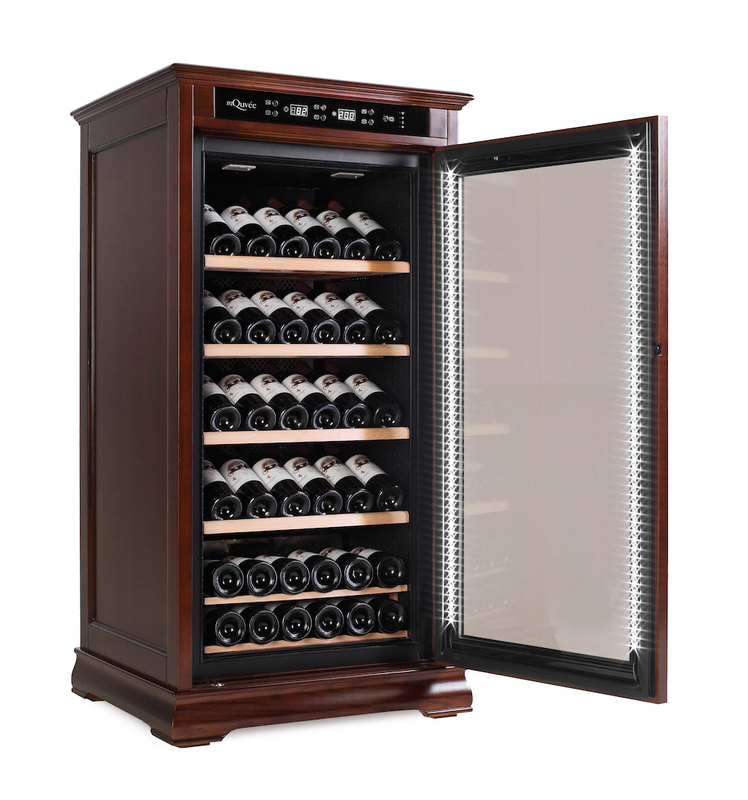 Place your bottles and let mQuvée look after the storage of your wine!